Grows on hill and extensively farmed country, in river-beds, forest clearings and edges, waste-land, pasture and scrubland. In the 1800s government officials encouraged planting gorse hedgerows for the improvement of the country as these provided cheap fencing as well as valuable shelter in areas prone to snow and cold winds. Seeds were available from many stockists. Gorse can produce between 500 to 36,000 seeds per m2 per year which may remain viable in the soil for more than 30 years. Seeds can be spread to some extent by wind or water, and some are spread in the fleeces of sheep. 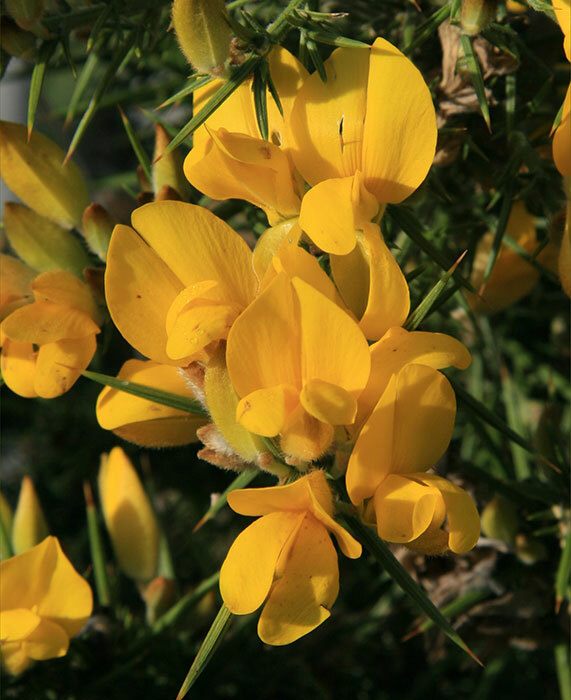 Gorse fixes nitrogen, which can change the nutrient status of the soil for better (for improved grasses and clovers) or worse (many native species prefer low nitrogen levels in the soil). Gorse is a fire risk, as much of the older foliage is dry, burning very easily and fiercely. A combination of pasture competition, trampling and grazing will reduce seedling numbers. Spreading fertiliser over locally appropriate grasses and clovers, can help a pasture outcompete gorse seedlings establishing after burning. Chemical control can be applied in combination with cutting. * Must be used in conjunction with an appropriate spreader/sticker. See the label for details. Cutting is sometimes very difficult as gorse can grow on inaccessible hillsides and valleys. While they are all damage gorse and suppress its growth, elimination of the weed on a large scale has not yet been achieved. 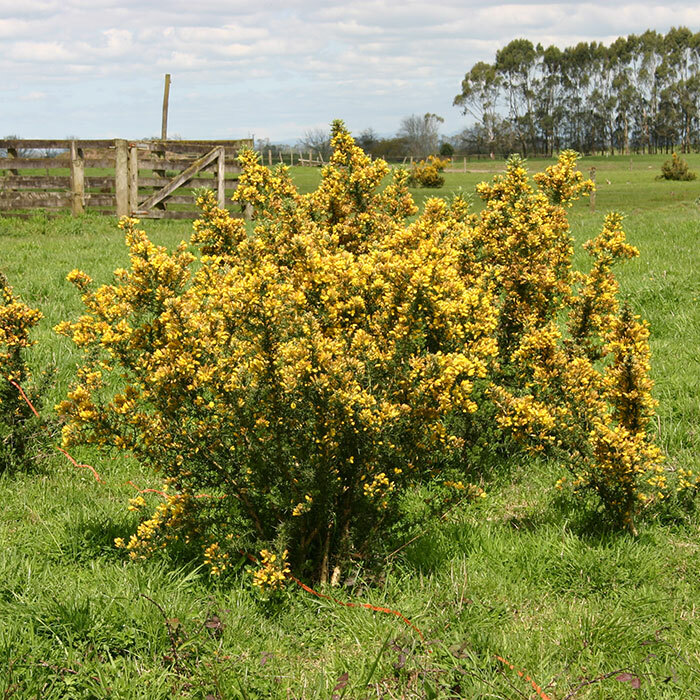 Has become established in most parts of New Zealand, and reduces seed production, but not so much as to affect gorse populations. Caterpillars feed on the spines, leaves, buds, shoots and flowers causing death to the leaves and stems of affected areas. Caterpillars destroy seeds, with each one eating the contents of 3 – 5 pods. Caterpillars damage the new buds and soft branch tips during spring. Each caterpillar can destroy up to five shoots. They can reduce the growth and flowering of gorse and may kill gorse seedlings. The larvae of both species can sometimes ring bark stems and cause dieback of the stem due to water stress in dry periods. This may damage several shoots or even the whole plant if the ring barking occurs close to the ground. Follow up with hard intermittent grazing once the new grass is well established, and be prepared to use herbicides to kill any gorse seedlings that survive. Hayes LM 2005. Biological control agents for weeds in New Zealand: A field guide. 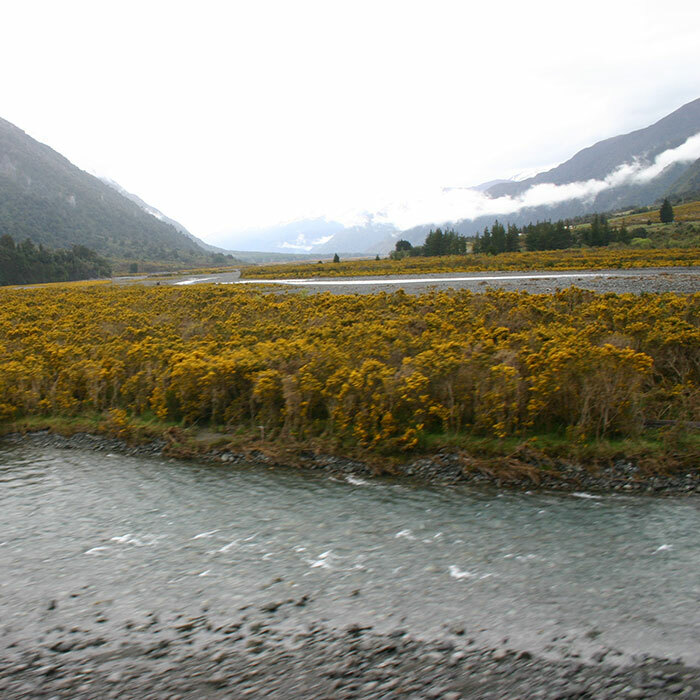 Landcare Research New Zealand Ltd. (accessed 30 July 2014). Landcare Research. Biocontrol & ecology of weeds: Gorse. (accessed 1 Aug 2014).